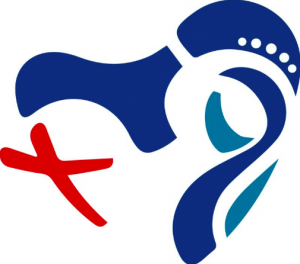 Panama welcomes thousands of pilgrims for World Youth Day (JMJ)! While there has been a lot of speculation over the net benefit to Panama, and how the country will handle the large multitude of visitors, one thing is for certain: hundreds of thousands of people are expected to visit Panama within the next week to ten days. As tourists and religious pilgrims have already started to pile in, local businesses and government have prepared by organizing hours, new routes for traffic, and even passes for employees to come and go through controlled areas during the week-long event. From a business perspective, the hope is that the multitude of visitors will spend healthy amounts of money within the local economy, boosting the “busy season” for tourism that Panama usually expects this time of year. Residents of Panama City also have their concerns, mostly due to traffic and travel logistics, but overall seem to be welcoming the idea of the event as a boon for Panama tourism and business. Panama doesn’t have much precedent for the amount of people expected, so this speculation is all taken with a grain of sand. Optimists believe that this will be a good thing for the country’s reputation and economy. Pessimists disagree. We’ll all know definitively after the event is over. With nearly half a million expected to descend on Panama City and its surroundings, and a visit from the Pope, the city has taken major precautions to limit and control traffic in and around the city. Major thoroughfares like Ave. Balboa will be closed for four days while the Pope is here, with limited street closings starting tomorrow, and ending the day after the event finishes. In the Casco Viejo neighborhood, residents and visitors will be required to show a pass to enter during the hours of 5am-2pm on event days, with cars not able to enter (or park) without prior permissions. If you plan on traveling in the city during this time, you will need to factor in about an extra hour each day, as traffic will most assuredly be backed up through the center, even via public transportation.